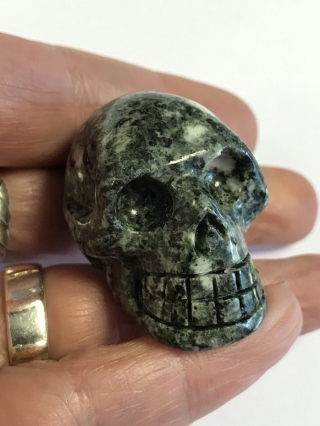 A tactile and grounding Preseli Bluestone crystal skull. Preseli Bluestone has been identified as the source of the stones for the inner ring of Stonehenge. 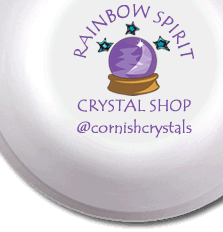 Key Healing Properties: A visionary stone, Preseli Bluestone promotes stability, willpower and connection to Mother Earth. It is used for balancing the throat and immune system.